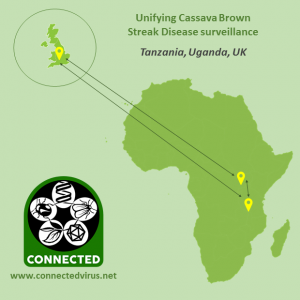 Cassava Brown Streak Disease devastates one of Sub-Saharan Africa’s most important crops. It is spreading westwards across Africa from its early disease centres in Tanzania, Kenya and Uganda, potentially threatening Nigeria, the world’s largest cassava producer. All agencies tackling the disease need to use similar recording and data management systems if a true international picture of the virus epidemiology is to be developed. This will enable targeted disease control measures, both to protect disease-free areas and to minimise further impact where it already exists. 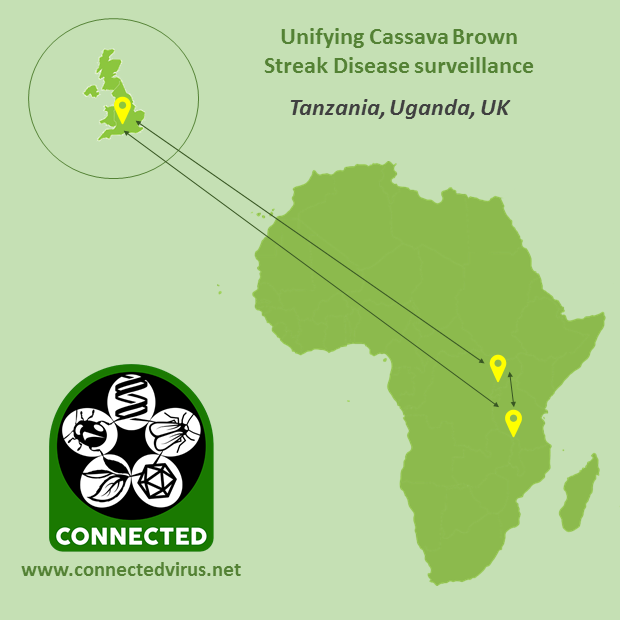 So this project aims to unify surveillance methods for data consistency, and to deploy these methods in Eastern Democratic Republic of Congo, Northern Zambia, North-Western Tanzania, and regions in Uganda where the disease is endemic to get an accurate picture of the current status of CBSD.